I was on a solo budget trip to Italy and staying in hotel wasn’t really budget friendly and I didn’t want to stay at some random stranger’s home via Airbnb. Though I love Airbnb and stayed at some when I was travelling with my guy, I don’t think I would even be able to sleep when I’m solo!!! At Florence, I stayed in this hostel called Ostello 7 Santi (Ostello is Italian for Hostel). I found it at hotels.com and the best part was I had the option of paying either online or at the hostel itself! Both had its own plus and minus when it’s in different countries. Cancellation was allowed till last minute but in my case, when I’m paying with an Indian or England Card, INR/GBP vs Euro value would go up or down is uncertain and I didn’t know if I was gonna pay more or less if I waited till the date of stay! But then I just went ahead & chose to pay at the hostel. 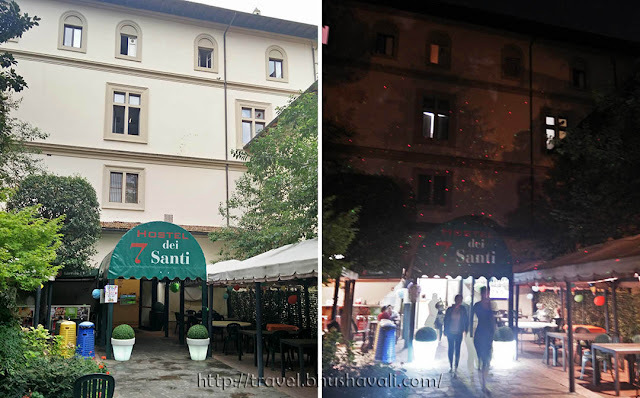 The main stop of Florence was Santa Maria Novella. But the Flixbus took me only till Piazzale Montelungo, which is the previous main stop to SM Novella. From there a short walk took me to the bus stop and about 15 mins ride took me to the hotel. The bus ride from Rome to Florence was €5 while the bus ride to the hostel was €2!!! I just followed the Google Maps and it was about 10 PM and honestly, I was a wee bit scared to be walking alone when it was almost deserted, in the dark!!! 10 PM is London was never this deserted! The hostel was located a bit off the main road. 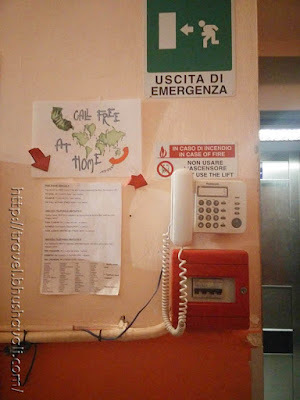 But the moment I got into the hostel, instantly I felt safe and I felt home! The hostel was booming with life with disco lights and music and a bar at the entrance. The checking in process was smooth. As soon as I entered I was enquired if I had a booking. My passport was taken for a copy and my room key was given. I had opted for a women’s dorm. The hostel obviously has several mixed dorm rooms, but I stayed in a women’s dorm. There were plug points dedicated to each bed, so charging the phones/cameras weren’t an issue. There’s a dining section, common phone and internet cafe in the ground floor and the rooms are in the first floor and above! The shared rooms have 4 beds or rather 2 bunker beds. There are 4 cupboards in each room. The rooms are equipped with a mirror and washbasin. The bathrooms & toilets are common to each floor. 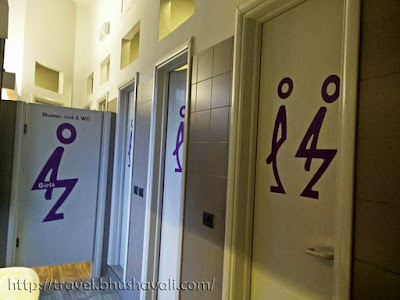 There are about 4 shower rooms and 4 toilets to each men & women! There’s one huuuge mirror in the bathroom as well. The view out of my window the next morning was gorgeous. 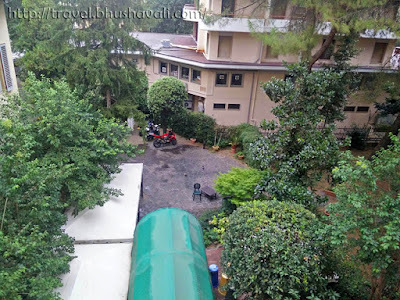 The entire hostel was filled with so much of greenery!!! 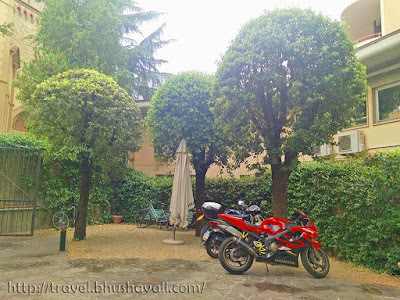 Some of the guests had their superbikes parked beneath the trees. On one side was the Parrocchia dei Sette Santi Fondatori Church! I didn’t have dinner there, but I had the breakfast next morning. It was €5 and opens at 7 AM! Unfortunately, I had to leave by 7 AM and all that was available by then were the ready stuff like coffee/tea, juices, croissants, cereals and fruits! I couldn’t eat too much that early but I did pick up a few packed muffins and fruits that I ate after meeting David!!! So effectively, I can’t comment on how the food is here!!! It was one of the coolest places I’ve stayed in and managed to meet some awesome people, which is the best of staying in hostels. My roommate was Laura from USA who was on a month-long trip, country hopping in Europe, how cool is that!!! Nope! This was my stay in the last Italy trip. Currently my travels outside my city are always accompanied by my guy! Solo trip and pregnancy isn't a good combo, unless necessary! I've never stayed in a hostel. I always like the privacy of my own room, and the security of your 'stuff' being relatively secure behind your closed door. However, what a great way to meet interesting people, especially when travelling solo. I've never been brave enough to do that. 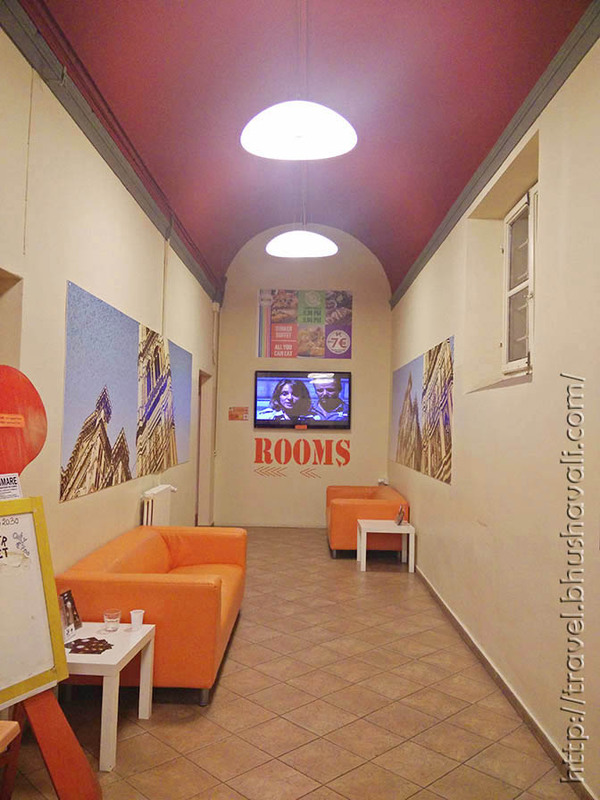 It's a good option to stay in a hostel, when solo traveling. It can help to meet other travelers & exchange about the place and also maybe do some visits together. It's good also they have a female dorm, I don't think all the hostels have that. good to know it was a nice and comfortable place to stay. I also prefer a hostel while travelling solo as you can meet others. Ostello 7 Santi sounds like a great place to stay in Florence! From your pictures it looks clean and I love you get your own power socket. I'd love to stay in a womens only dorm but unfortunately I'm not allowed! I'll keep this in mind when I visit Florence later this year. 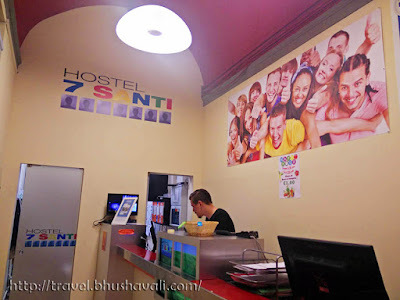 Staying in a hostel is very nice option as it is budget friendly and also we get chance to mingle with other people. Sharing room with a stranger must be a different experience as I have never experienced such thing. This is good you shared your room with Laura and had a nice chitchat. Ostello 7 Santi has separate women's hostel which is a very great for solo female travelers. That hostel sounds a great option for young people. I always feel safe in Italy even when it's dark. Have to say I don't often go out in the dark at home in England unless I'm in the car yet I wander around Italy & Spain & don't worry about it so much. Maybe because I'm getting old! I love your post on David, he is gorgeous. The detail on his fingers & toes is amazing. I need to go to Firenze before too long. Thanks for your posts you give so much useful practical detail not just the descriptive stuff. A month-long trip in Europe sounds really cool! Staying in a dorm room is quite practical. Travelers usually spend more time exploring the outside anyway. I stayed in a hostel in HK. It was my first time trying this type of accommodation and it was great! Much more affordable! The hostel that you've stayed in looks good and has a homey feeling into it. I have never stayed in a hostel anywhere. Usually I am with my wife so its either reasonably priced hotel or a well-chosen AirBnb. Let us see if I can be given an opportunity to try a hostel someday, but it has to be along the bus route. Not bad at all. I used to travel and stay in a higher budget hotels but I find it a waste of time coz most of the time we're out. I'll try to consider this instead if we go to Italy. Great comprehensive review! It's so great meeting people at hostels and hearing their stories. I love how you included a day time and night time photo of the entrance as well, that really helps when finding a building. Good to know that this hostel makes you feel welcome instead of just a place to crash. Oh my! Florence is one of my favourite places I've been to so far. When I went, I fell in love with the romance of the city. I loved the weather and the relaxed attitude, how the breeze would blow the curtains in the slightly opened wooden slatted windows. Just perfect! I want to go back there someday definitely! Simple yet cozy. That's the way we like it. The garden looks really cool. 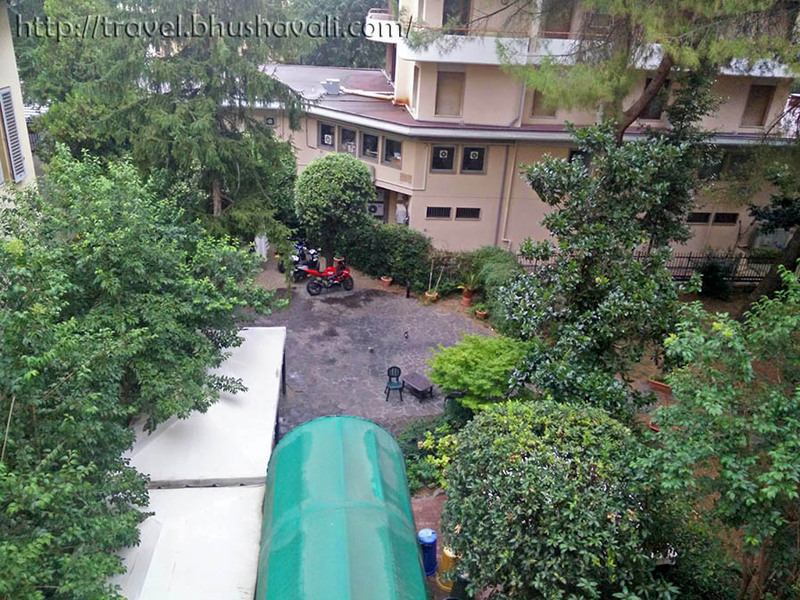 In most of our trips, we stay in homestays, inns, and budget accommodations like this and stay away from expensive hotels and resorts. We'd rather spend most of our money in activities and adventures rather than accommodations. Thanks for sharing the hostel tip. I have been to Florence and absolutely loved the city. The whole Tuscany is a breathtaking region that everyone should have the chance to visit someday. A good tip! Finding a good hostel in a touristy place can be challenging and this seems to be something worth remembering. Although I now travel mostly with a family and we usually stay in hotels or apartments, on my single days I'm sure I would have liked this place. I've not stayed in a hostel yet (and not sure whether I'd be brave enough to do shared dorm rooms) but I can see how it makes sense for solo travelers as it's easy to meet fellow travelers. I do hope to do my solo trip soon! The Ostello 7 Santi looks like a pretty decent and comfortable place to stay. I can see that it is also centrally located, which is so important. 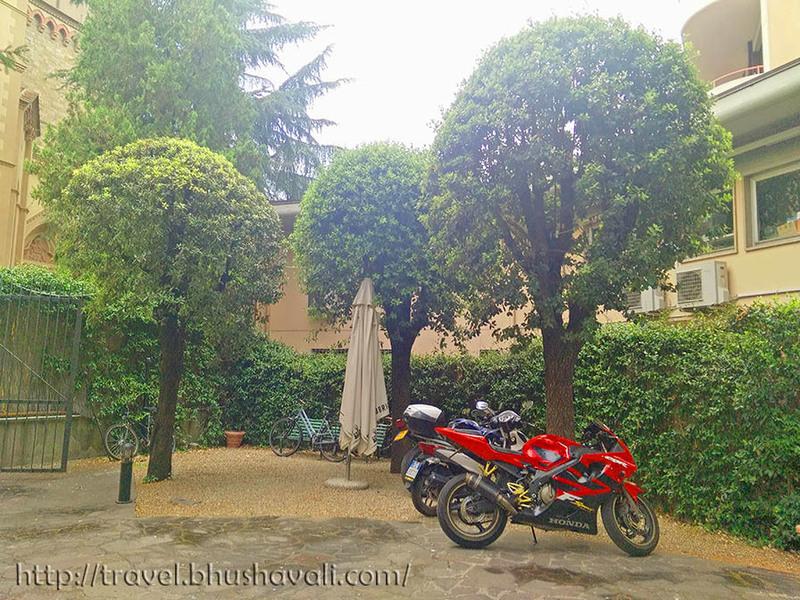 When we were in Florence we stayed in a small and picturesque village called Signa which was about a 15 minute train ride from Florence. 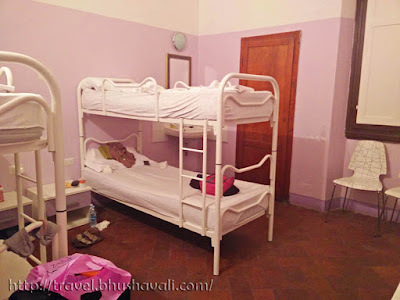 I've stayed at the Ostello Bagan hostel in Myanmar, i think they are part of the same hostel chain. This one in Firenze looks nice as well. I love staying at hostels once in a while especially when I am traveling solo.